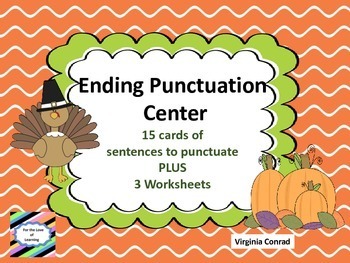 Kids will not mind practicing ending punctuation when you put out these cute Thanksgiving themed sentence cards! Just copy, laminate and cut apart and your center is ready to go! 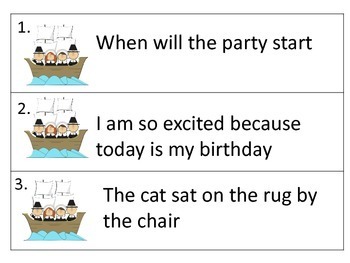 Students will copy each sentence and put the correct ending punctuation marks. 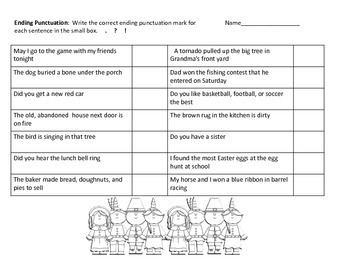 There are also 3 worksheets with answer keys included. 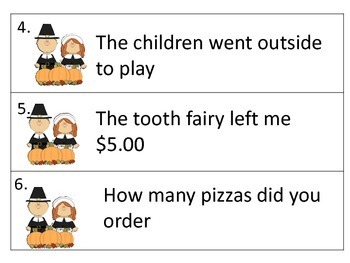 Be sure to use the custom category to see more products just right for Thanksgiving time.